Adaptation and extension of cloud and edge digital infrastructures to ensure high performance operation of the European Industrial Data Space; i,e, support of high-speed processing and analysis of huge and very heterogeneous industrial data sources. Integration of the four main open source European initiatives (Industrial Data Space, FIWARE, Hyperledger, Big Data Europe) to support the development of open connectors and big data middleware with native blockchain support in the European Industrial Data Space. Open interfaces for the development of big data pipelines for advanced analysis services and data visualization supported by the main digital engineering, simulation, operations and industrial quality control platforms. 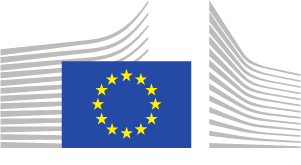 European certification program of equipment, infrastructures, platforms and big data services for their operation in the European Industrial Data Space.